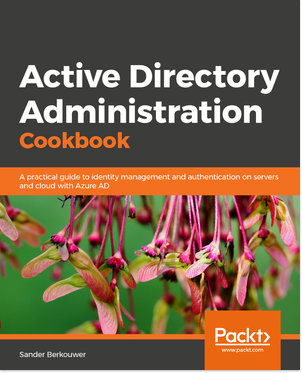 Since version 7 of the on-premises Azure MFA Server, a new setting is available that might make sense in your Hybrid Identity environment when using Active Directory Federation Services (AD FS), called Prompt for user’s method. According to the Azure MFA Server 7.1.2.1 Release Notes, this feature is available since version 7.0.0.9.
the information registered by the user. This allows users to choose a preferred authentication method each time they sign in. Alternatively, the adapter can perform the users default MFA method immediately, then display the list of options if the user doesnt respond. Note that users connecting from Windows Phone whose default method is Mobile App will always see the list of options except Mobile App due to a known issue where the app being accessed loses state when switching over to the authenticator app, thus resulting in a failed authentication after completing MFA. 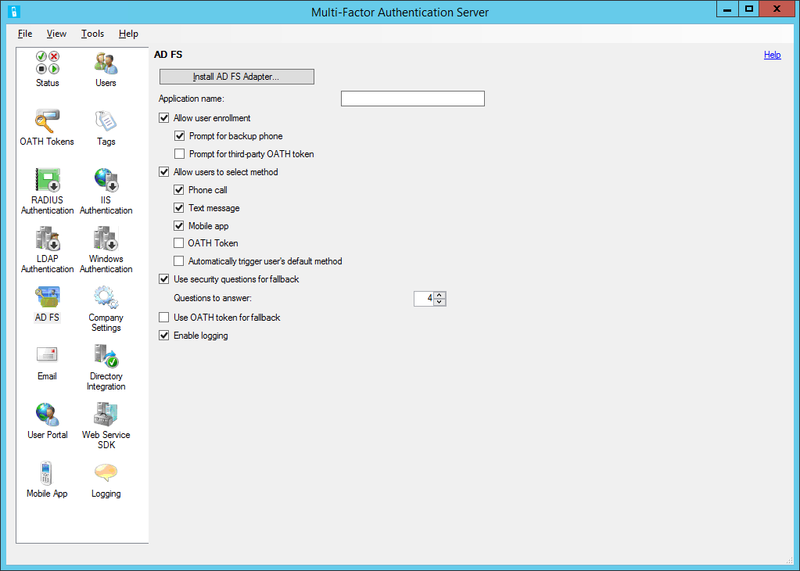 For versions of Azure MFA Server prior to version 7, you needed to add an extra line of text to the MultiFactorAuthenticationAdfsAdapter.config file, before registering the Azure Multi-Factor Authentication (MFA) Active Directory Federation Services (AD FS) Adapter. 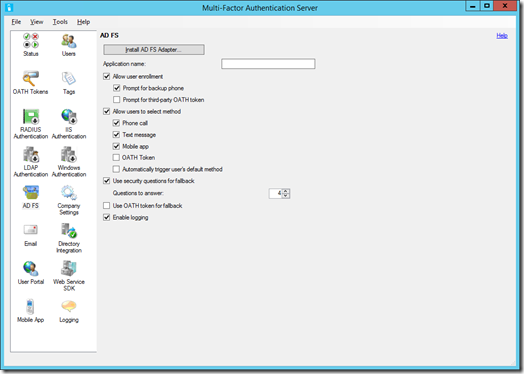 To enable or disable the Automatically trigger user’s default method in Azure Multi-Factor Authentication (MFA) Server version 7, and up, you can use the Azure MFA Server Management User Interface (MultiFactorAuthUI.exe). In Global Settings, select or deselect the option to Automatically trigger user’s default method under Allow users to select method. This change is almost immediate. You don’t need to reset or restart, de-register or re-register the Azure MFA AD FS Adapter(s) to make it happen.